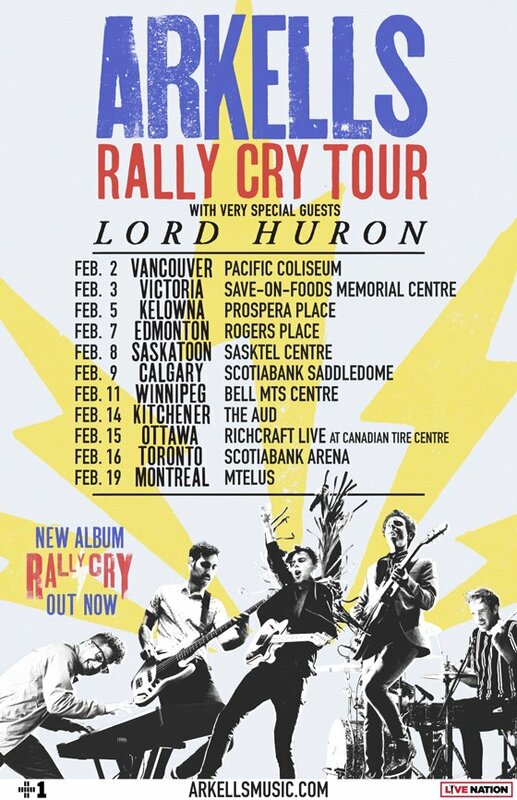 Today marks the release of Arkells' fifth studio LP Rally Cry, and to keep the good times rolling, the group have now mapped out plans for an accompanying Canadian tour in 2019. UPDATE (11/6, 6:30 p.m. EDT): The Edmonton concert has now been moved to January 31 from February 7. You can see the revised schedule below. For fans in Toronto, Arkells are celebrating Rally Cry's release today with a pop-up event at Union Station, where they will also be collecting gently used winter coats for donation to New Circles' GLOW (Gently Loved Outfits to Wear), Toronto's largest clothing bank. Further ticketing information is available through the band's official website. Find a complete tour itinerary below.